As mentioned in my teething post I am very much for alternative, homeopathic remedies for baby and this includes therapies as well. I was recommended to try cranial osteopathy for Luke when he was tiny by someone else who had tried and swore by it. At the time I was desperate, Luke seemed so fractious and unsettled, I needed to try anything to make him feel better. This is a relatively new kind of therapy but it works by applying pressure no heavier than a 5 cent coin to pin point an obstruction or stress within the body. The therapist can assist with helping the natural movement of the fluid and soft tissue within the body. 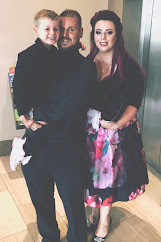 After going through your pregnancy and labour history with you, the therapist then works with that information to locate any stresses within baby. When you are sitting there watching this, it really does look like they aren't doing anything at all except resting their hands on baby but its a gentle pressure in order to release any stresses they may find. The very first time we went, Luke screamed and screamed for almost the entire time but she was able to tell us that his formula was one major problem. She said there was so much tension in his belly that he was in constant discomfort. She recommended we change to a different one to see if that would help, of course she advised we check with our doctor first. This was one giant step in the right direction. As soon as we did this, there was such a huge improvement in Luke. We went back 10 days later and she said she could feel 90% improvement in him. Our next visit there was just before he was 4 months old. We'd established a good sleeping pattern but suddenly that all changed and we were back to waking on the hour every hour throughout the night, naps were getting difficult. Again an improvement within days. Although 2 weeks ago things kicked off with the sleeping again, I don't know was it a growth spurt, teething or something else but Saturday night just gone his sleeping seemed to return to normal. He's always had a bedtime routine anyway and the last few nights he's back to sleeping from 7pm - 1am, wakes for a feed, then off again until 5am when he comes in with mum and dad for another couple of hours. We are due back for a follow up in a few weeks. It's not cheap but I feel its worth it for the immediate effects. However my main concern now is the longevity of the therapy. Is this the kind of thing where we will need to keep going back? I do find that as he's getting older, things in general are settling down with him, he's much more capable these days , although I'm not entirely sure if that is down to this therapy or not though. I would recommend this therapy for a kick start to ease any discomfort within your baby but after that I think it all depends on their age, surroundings, food etc. 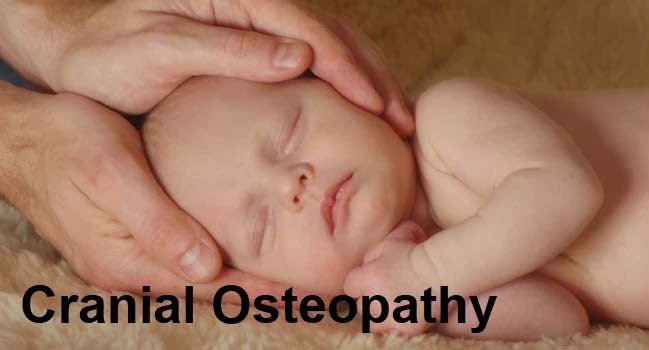 What are your thoughts on cranial osteopathy? I'd love to hear them.